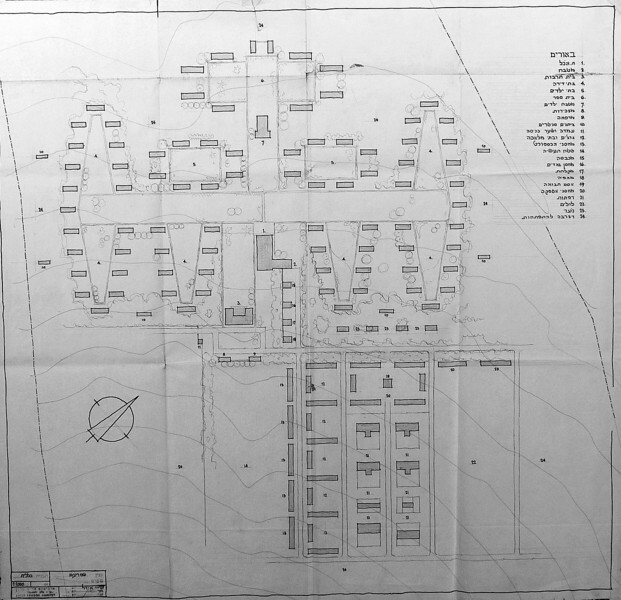 Plan and perspective for a kibbutz named "Shfaram". As of 2016, it is unclear which kibbutz it is or even if this plan was implemented or stayed on paper. Benjamin Idelson, who later became Sharon's partner, appears on some of the plans.